Jared Strong has been haunted by bigfoot since his childhood. An early life experience drove his passion for capturing the beast. Now, as an adult, he has given up everything to find the elusive creature. Determined to succeed, his passion and discipline have taken him to some of the greatest finds ever recorded. But he’s not satisfied with mere evidence. He wants to bring the world a bigfoot. There are things that stand between him and his dream. The creature doesn’t want to be found. But it isn’t alone. His estranged wife has moved on with her life. And other forces stand ready to block Jared’s path. Powerful people who don’t want him to succeed. Now Jared must make a choice between focusing on his crumbling marriage or giving everything he has for this last chance to prove this monster exists, even as he is threatened from all sides. Who will win in the end? 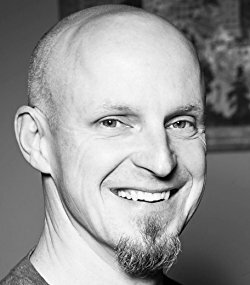 Paul Sating is an author and audio dramatist who spends most of his time traveling the Pacific Northwest in search of elusive monsters everyone claims aren’t real. The creator of Subject: Found, Who Killed Julie, and Diary of a Madman audio dramas, Paul began adapting many of those scripts to novel form and is looking to release his first two novels in 2018. He stays grounded by rooting for bad soccer teams, traveling around the beautiful corner of the world he calls home, and spending every moment he can with his wife and two daughters. My first introduction to Paul was through a posting in an audio drama group. He was looking for a reader for something. I didn’t get the part, but I asked to be his friend on Facebook, and quickly fell in love with his brain. When he asked if people would be willing to be advanced readers of the novelization of his audio drama of the same name, Chasing the Demon, I asked if I could, and he graciously sent me a digital copy. Then I got super-sick, had to make an emergency trip to South Dakota because my father-in-law died, and then had family here delivering inherited furniture. By the time my head was clear enough to be a critical reader, it was June, so I said I’d review his book here, instead. Chasing the Demon is, put simply, brilliant. While a casual glance at the back cover blurb might lead you to think it’s a story about monsters – which it is, in a way – it’s primarily a human story. It’s about obsession, the need to answer our deepest questions, and what that need can drive us to do. Originally released as an audio drama, this book reads quite well as a novel. I purposely did NOT listen to the audio drama before reading it, because I wanted to approach it with no preconceptions, and I was blown away by Sating’s use of dialogue, and his deftness at crafting characters. Protagonist Jared Strong is, at times, frustrating because there are choices he makes that are detrimental to his personal life, but that tendency only makes him feel more real. At the same time, he’s sympathetic. As a reader, I was rooting for him to succeed. The fact that one character evokes both of these responses is, I feel, a testament to the author’s dedication. But Jared is not the only character in this novel. His friends Lucas and Peter, very different people, indulge him in his obsession, to a point, but they also speak truth to him, the way only real friends can. Their relationship is well-developed, and mixes humor with natural skepticism and real concern. We could all use friends like this. Then there is Maria. There is a lot of reflection about Maria – Jared muses about the way their marriage has been crumbling – but we don’t really hear from her until about a third of the way into the story. That’s fine. It’s Jared’s story. But where I was prepared to be disappointed in her minimal presence, I was instead impressed by the way Sating wrote the initial phone call between the estranged husband and wife. He has captured the tone of such conversations – the poignance, the annoyance, the very real sorrow and regret – perfectly. Overall, Chasing the Demon is an excellent first novel. While it is a little bit exposition-heavy (of necessity, I feel), that choice doesn’t detract from the flow or pacing of the story. It’s a satisfying read, with crisp dialogue, a compelling plot, and dimensional characters. Goes well with a cold beer – maybe a microbrew IPA – and hot dogs roasted over a campfire. 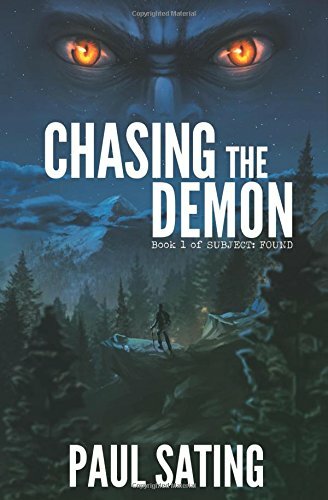 Review: Chasing the Demon, by Paul Sating by Melissa Bartell is licensed under a Creative Commons Attribution-NonCommercial-ShareAlike 4.0 International License.